Vancouver, BC (September 13, 2018) – The Dhahan Prize for Punjabi Literature proudly announces the 2018 winners awarded for excellence in the Punjabi literary community. The Dhahan Prize promotes Punjabi literature on a global scale by awarding $25,000 annually to the best book of fiction published in either Gurmukhi or Shahmukhi scripts, along with two additional finalist prizes of $10,000 CDN. In addition, Coast Capital Savings Credit Union as presenting sponsor for the Dhahan Youth Awards together with the Dhahan Prize in partnership with BC secondary schools, announces that the 2018 winners for the 2018 Youth Awards have been chosen. The contest was open to all British Columbia grade 11 & 12 high school students for short stories written in Punjabi and English. The winners will be announced at the October 20th, 2018 Prize Award Ceremony. “The 2018 Dhahan Prize winners are well recognized for their creative works, representing the three Punjabs – West, East and Diasporic. Their themes and stories are relevant and timely contributions in understanding the past and the fast changing cultures in the global village,” said Barj S. Dhahan, Founder of the Prize. The Dhahan Prize is the largest literary award celebrating the rich history of the Punjabi language. The Prize aims to inspire the creation of Punjabi literature across borders, bridging Punjabi communities around the world, and promoting Punjabi literature on a global scale. The awards garner critical acclaim and significant exposure for aspiring writers, setting the stage for its select winners to secure international projects that will also reach broader multilingual audiences. The Dhahan Prize Youth Award is a unique initiative to encourage the youth of B.C. 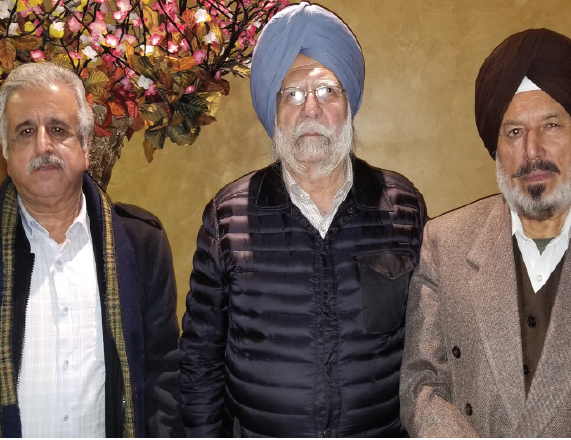 to embrace the rich Punjabi culture of the generations of families who have immigrated to Canada, specifically in British Columbia, through creative writing in the Punjabi language. Through the writings of the participants, in Punjabi & English, a greater understanding is being created among the youth of British Columbia; thus building bridges between people and communities of various identities. The Dhahan Prize was established in Vancouver, British Columbia, where Punjabi people, language, and culture have a rich history. Punjabi is now the 3rd most spoken language in Canada and is a strong thread in the multicultural fabric of the nation. The prize has been established by the Canada India Education Society in partnership with the Department of Asian Studies in the Faculty of Arts at University of British Columbia, and is currently funded by Barj and Rita Dhahan, and family and friends. All believers are but brethren. Hence, [when­ever they are at odds,] make peace between your two brethren, and remain conscious of God, so that you might be graced with His mercy.